In Fractured Particles, the world of Pixia has lost its pixels, the very building blocks of life. 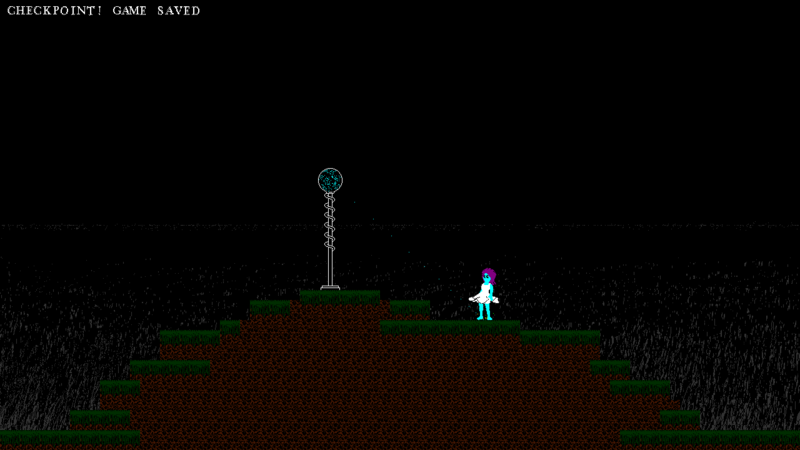 You play as Lexi, the chosen one, who is now tasked to retrieve them by defeating the Ecto and his minions. How will she do that? By taking their pixels of course! 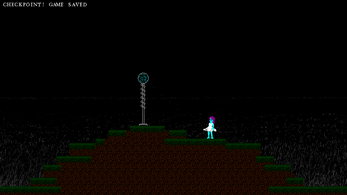 Lexi starts out as a mere little pixel but will gain new abilities as she takes the pixels of her enemies with the power of her Pixel eater, but beware because the enemy also has their own pixel eater, perhaps even multiple ones. I'm holding a special promotional contest where I hid a photo of my cat somewhere in the game. If you find this photo, you will win $100. I won't give a hint of where it is but I can assure you that it is not some cryptic thing like having to type a specific code during the logo under a specific time limit. 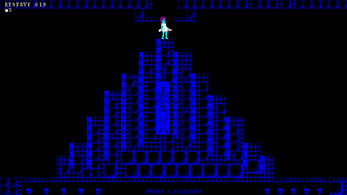 The photo is available during normal gameplay and anyone can find it. However I hid the photograph well enough that the winner may end up finding it by accident. I did this to keep people from cheating, so no, don't think you can look through the game's files and manipulate it. When you find the photo, contact me (preferably through FaceBook) with a screenshot. If it's legit, you will get $100 through paypal. All you have to do is unzip and run the exe program. 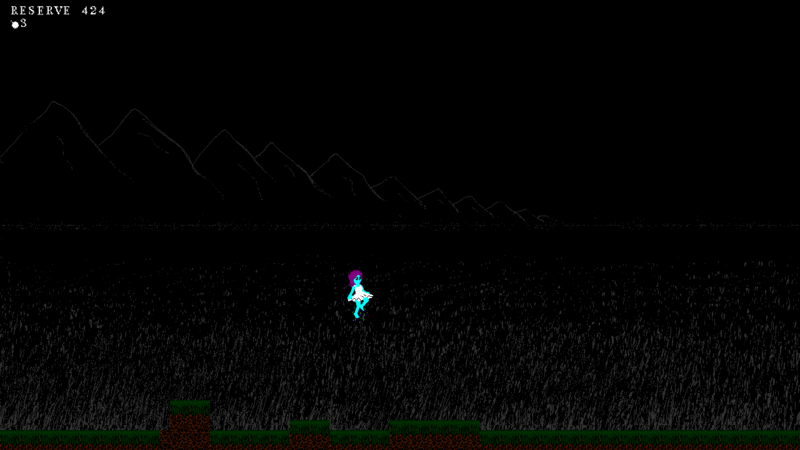 The game may take a few seconds to appear. Ok,so I played the demo but I didn't complete it as I had many problems trying figuring out where to go.But let's start from the beginning. At first glance my eyes were bleeding and I couldn't believe that the developer would present the game in this way.But after two minutes I understood why he decided to use this style and in my opinion it's a great and brilliant idea. The combat system is very funny but it is often repetitive and redundant like in the 2° dungeon where I had to fight 4-5 time the same "fork" enemy.The boss fights were quite challenging especcialy the first one, Kimera.The second boss,Suco (? 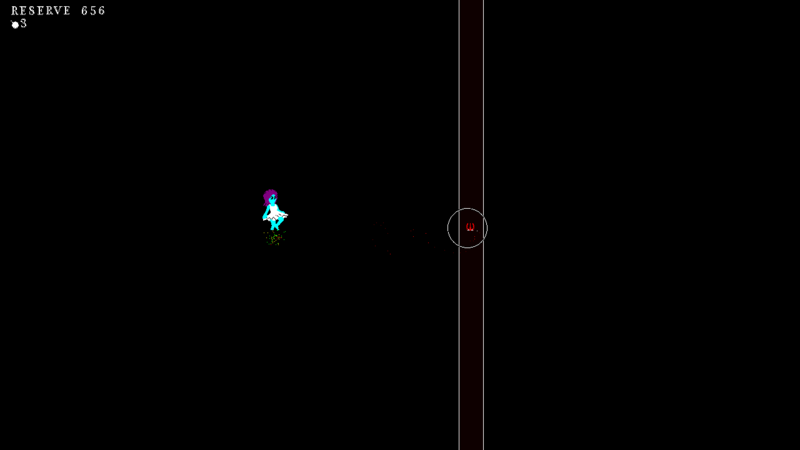 ), had some hit-boxes issues.The fights were generally too easy because of the very large "Health pool" of the player. Sounds were "ok" while the music tracks were quite generic.However music is not my field so I could be wrong. The story is light and easy to follow.It has a really unique concept.The characters keep the story very interesting as they are AWESOME.They are also weird and really funny. So why I didn't finish it?well because there is a really huge lack of direction.I didn't know where to go exactly after the second boss and I tried EVERYTHING. I think that this game is a hidden gem.It has TONS of potential,really.But it has a really long way to go. as I load the game the one thing I notice is the unique graphic style, which is refreshing, however the 'New Game' and 'Continue' buttons are rather small, I would suggest making them thicker and making the colours when you run your mouse over them a single colour, other than that the main menu is very simplistic and easialy navigatable. You should change the colour of some of the text, the sprites or move the text over the black space because you can barely make out what the text says since they are both yellow. This happens with multiple sprites I have seen so far. 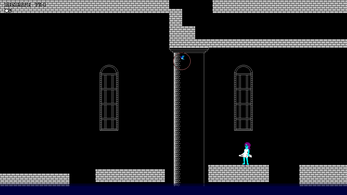 Another suggestion that I migth make is a run or escape feature, because it have found myself in a situation where I have accidentally ran into an enemy, and you just can get away unless you have bombs. Also some of the are way to quick, you can barely get any pixels before they zoom of in another direction. other than that the game has been great, not too hard and not too easy, a fresh, simplistic design with music that suits it, with a easy to follow story that is also very in depth. I would say that one of the more challenging parts of the game is remembering which parts you have and haven't been in. Great job good luck for the future. Thanks for checking out my game. Your feedback is very much appreciated to improve this game. I will look into your suggestions and see what I can do. As for the second boss, Ja Fraw, I also got responses from other players that he is very difficult. Would increasing the room your character has and slowing it down improve the difficulty? Yes, It definitely would. 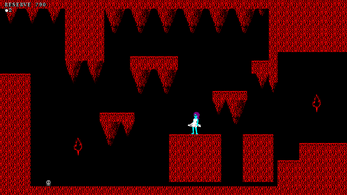 It gets easier as you loose more pixels as the sprite is smaller but then you have less health, so I think that both would make a it easier but not too easy. Also the hitbox seens off because you have to point the pixel eater to one side of the sprite in order to take its pixels. Turns out you were right. There was something wrong with the hit box of the bosses. 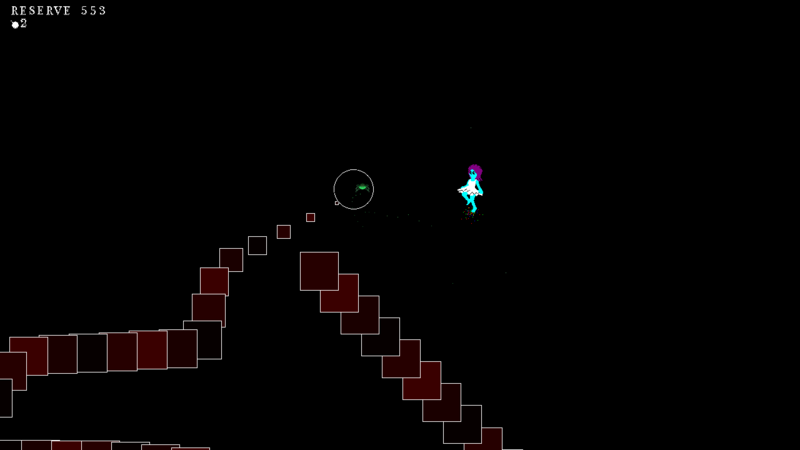 I've fixed Ja Fraw and gave you the player more room to maneuver so he should be easier to deal with. Anyways, looks like I have everything I need from your playtest. Thank you very much for your cooperation as playtesting assures me that this game is heading in the right direction. I don't know if I mentioned this, as I don't recall if you sent me request letter of any kind, but I still have some money left to pay out to playtesters. I give out $10 for a review and $15 for a video. You've done enough of a job to be reward $10. If you are interested, please give me the e-mail associated with your PayPal (as that is the only way I can pay out). The email is neil.welchman123@btinternet.com (this is my dads as I haven't got my pay-pal set up yet) Thanks. $10 has been sent to the PayPal address. You've added and changed so much to this game from what it was even in the first and third versions making it so much better. Those are the two versions that I tried but barely tried it again with the ninth version and it's such a big jump of improvement. I just wanted so say to Toolkits that everything you have done to this game has made it funner and easier to get into. At the rate that your improving this game the full version seems like it's going to be amazing. Just there is still the problem with the size of the game window that puts the text behind the task bar but other than that your doing a fantastic job of improving your game. I'm going to be honest, I didn't thought anyone was going to come back to this game due to it being a mere playtest version, but I'm am so happy that you have. I'm happy to know that the improvements to the game are satisfactory and people are enjoying it because it is coming close to the planned public version. Thanks for the kind words. As for the issue of the window screen, I have gotten complaints about it. I can't change the resolution at this point unless I do an overhaul of the entire game, so instead I'm going to give the option to allow the window to be full screen and to resize the game window. Hopefully that should fix it to those whose game goes over the screen. Once again, thanks for the compilment on the game. I'll test the game tomorrow. I just update the game to include the ability to configure the controls anytime you want, so if you already downloaded version 0.5, consider redownloading the game. Also, remember, to check out the FaceBook page for more information about payments and you need a PayPal account. Write a review of the game and you will get $10. Firstly, I want to thank you for the fresh version of the game (playtest)and the applied changes. I start now, but it will sound more like a story than a review.God bless Lexi (i hope, not to die at the first level). I easily pass the first level, "jump jump jump" . I reach to the second one, in the background I can hear noises and I really feel like I'm in another world. I reach to the third one, "jump, jump" and this one looks more like a cemetery, "I was thinking to search for that picture of yours with your cat but it sounds too harsh to find it in a cemetery…". I jump but instead of going down, I'm heading right and I reach at a new level where I find an yellow shadow (Ecto's, is that you?). And BANG, the game freezes I don't understand why. Is that another bug or a secret level which is still in an unfinished shape. The only way looks like "New game" again... I decided to try the game on my friend's desktop, everything seems fine. I notice that you uploaded the 0.7 version of the game, which ( I hope ) is going to solve all the bugs I already told you about. Here I decided to shorten the review. 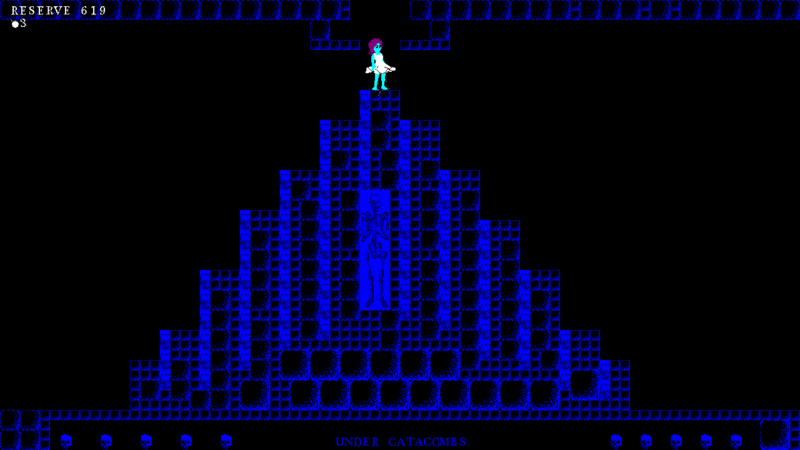 Overall, the game should be a platformer/adventure with retro-style elements. The player must jump in order to attack, the "jump jump" elements make from this game an enjoyable one with original gameplay, but the story turns it into a real captivating RPG. Keep it up and don't forget that you read the worst review overhere. Thank you for your honest review. You were right, it did read like a story, ha ha. But I enjoyed it nonetheless. Thanks for providing all those suggestions, I'll see what I can do with them. As for the bug that froze the game, was it before or after you met Tsar, the man in yellow? For the shadow when you start a new game, no that is not a bug, it is the shadow of Ecto absorbing the pixels of Pixia. Perhaps I'll try to make it more obvious. Besides that, I also need to know if you fought at least one enemy and can you give me your thoughts on that because I need to know what people think of the battle system? Thank you for reading and enjoying my poor review .I don't know what I should start with... Hmmm, think (how to think?)... In fact I played once more the 0.6 version of the game and the game wasn't freezing at all, but I just couldn't see the writing (same problem as "SPUDCATS"). I just had to click until the dialog disappeard and, after that, to press a key which will be used for transforming. After I tried the 0.7 version of the game on another desktop, I realized what the problem was. About the " shadow in Main Menu " I was right. It was Ectos... And yes, I fought with several enemies. The battle system surprised me and I love the fact that I can move freely on battle mode, dodging the enemies pretty easy. 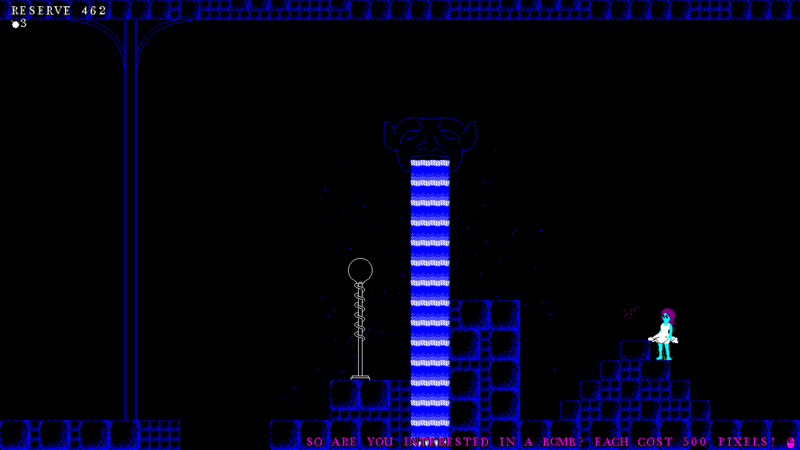 Your game is well-thought and, sincerely, I have never played such an ingenious platformer game. Good job. I was wondering… do you use "Game Maker Studio?" In the first fight, I didn't see where the life indicator is displayed. 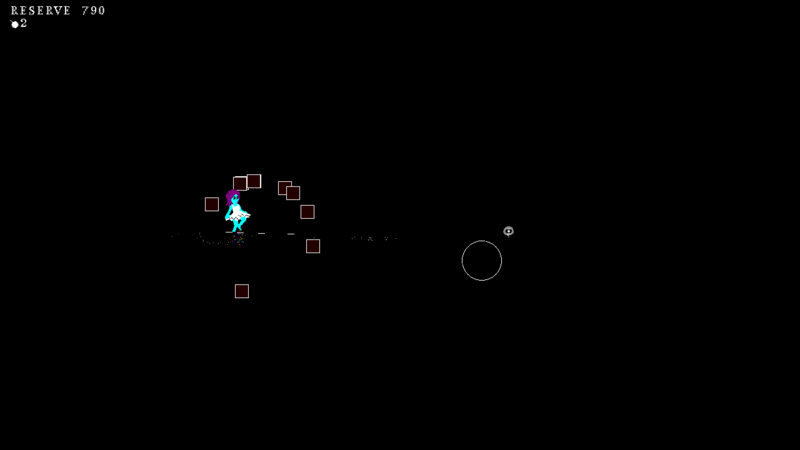 But it looks like Lexi represents the life indicator and when she's attacked, pixels from her body are stolen by the enemies. Wait... I'm going to play this game right now. The fact that I must point the mouse on the enemy in order to attack seems perfect to me. I must pay attention to the enemy's attack and to the fact that I must dodge the attack, and I also must pay attention at the cursor. Don't change the combat system. You could upgrade it though, but don't change it.It's wonderful. 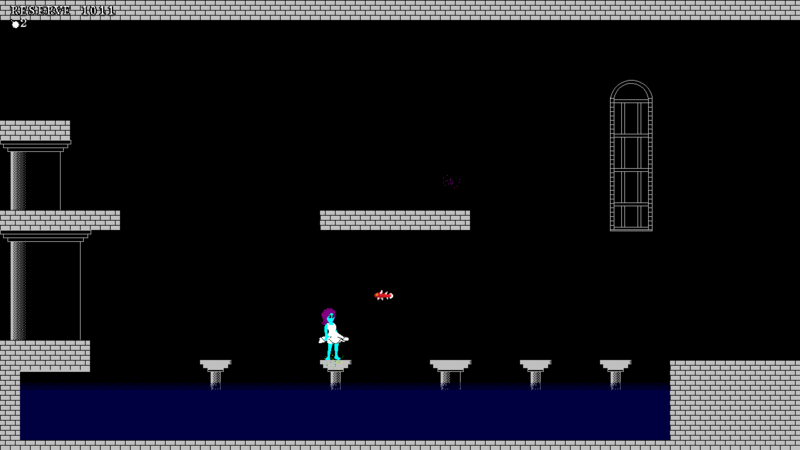 It's fun and the fact that you must jump and then jump again and attack reminds me of another RPG. 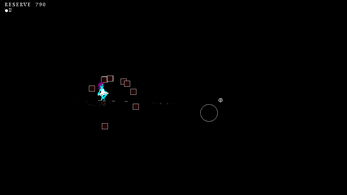 I was thinking if you could introduce a skill-tree where, after each fight, Lexi will earn a point/exp. Lexi will use the point/exp to upgrade the attack, the jump height etc.It sounds interesting to me and I really want to see this at least in a build version, to see how it is and if it's good enough, keep it. The game can't live without "options" section where you could also add "controls" and let the player choose for himself. But the control must be *Default* and if he/she wants to change it, then okay. And by "default" I mean Up-W, Down-S, Left-A, Right-D, Transform-E and so on. This could be a noticeable change. I think that many improvements could be done, no heart feelings. But with this game you chould make a name for yourself (or even make some cash dude). As a non-experienced game tester I swear that I will be here so you can send me improved versions of the game and tell you what could possibly be changed. Wow. Thank you for the kind words. Considering this is only a "playtest" version (an improved demo for the public will be release later), it is really nice that you like what I have so far. 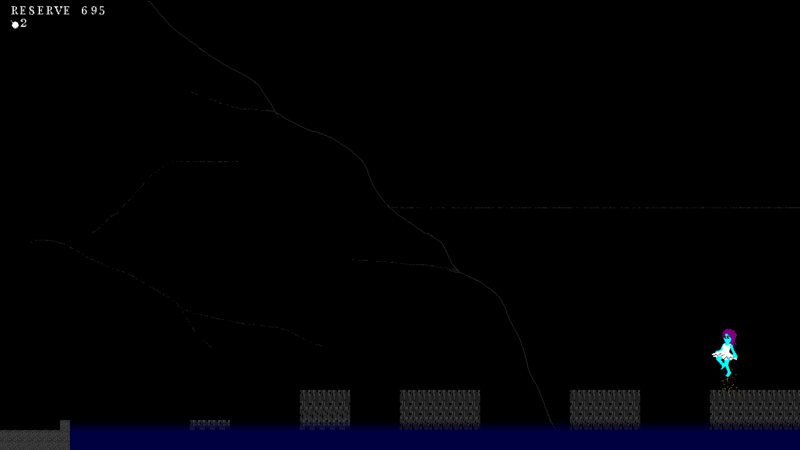 To answer a few questions: Yes, I used Game Maker Studio Professional to make this game. The game will have you upgrade your character and pixel eater to include a bigger area to for your pixel eater and faster pixel eating. However, I want to make an upgrade system like Zelda, where instead of EXP, you have to do sidequest and find items to upgrade. As for the problem of not being able to read the dialogue, is it not showing in the screen or is the window not big enough? Once again, thank you for everything. This really helps me to create the best possible game I can make. I also sent you a friend requiest on FaceBook. Alright, thank you. If you don't have a paypal, then I can transfer to your bank account, but that is a slow method. Just finished watching your video. I'm both very happy and very embarrassed. I actually aimed to make the demo easy enough that anyone can pass it. Looks like your video, along with other playtesters feedback, proved me wrong as you seemed to struggle with the platforming and the controls. I thought the tip-toe button would remedy that but looks like you didn't even know what it did. Well, as embarrassed as I am, this was really helpful to me and I am very thankful for the video. Perhaps I should have mentioned that this is a playtest demo made specifically for playtesters and a more public release is going to be made after the feedback of the playtesters. Regardless, I'll take all the feedback your video provides and improve the game until that version comes. Thanks once again. With the video, I can pay you $15 so provide me with an e-mail associated with your PayPal account. The platforming in the game is only difficult in that one spot in the beginning of the game. Also the window for the game is kind of too big from the top and down perspective making the text be covered by task bar on the computer and harder to read. I don't know if it was only me or if that only happens because I use a PC but it's just something I wanted to bring up. That was the first time my brother ever played the game so that was his first try of the game. If there is anything you want from us just ask. I think I got all the info I needed from the video so it's all good. Just give a like to the FaceBook to keep a check on the game's progress. Thanks once again. 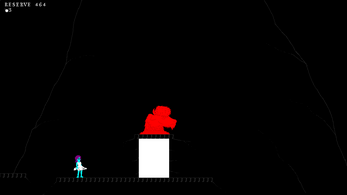 The game is an interesting platformer that gives purpose to the body of the character making it a shield that protects the player in combat as well as helps the player with certain jumps. The story is unique making the main character important but never pushing that the character has to follow a straight path you just get to enjoy figuring out what to do next. A problem I found with the game was that the music did not play at times making the experience slightly boring but when the music would play it added to the atmosphere and immersed you into the world. For a demo and an early build it is a fun game that if expanded on would become something amazing. Thanks for the review. Your feedback will certainly help me in making this the best game possible. The review itself is adequate enough but not enough for the full payment. if you could go more into detail about the music, the battle system, and if you had any difficulties at any time, then I could pay the full $10. 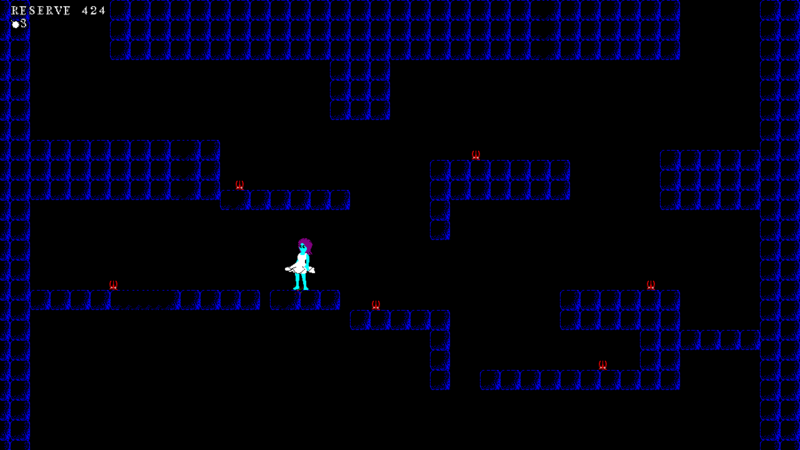 The music only plays inside of the dungeons instead of throughout the game creating gaps of silence between the areas making the walk from to dungeon to another too quiet. 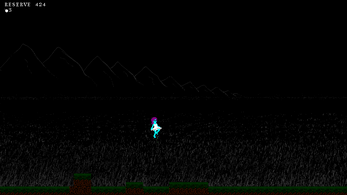 The battle system is unique by making the player's body their health bar and seeing it disappear when damaged. Each enemy has it's own way of attacking making the player have to actually face a new enemy that can attack in a simple way like the angry faces or in more annoying ways like the enemy that goes after you in the battle. This makes meeting a new enemy actually new and not just a different asset with the same attack. The actual battle system is interesting allowing you to float in all directions to avoid the enemies attacks and having to keep the cursor over your enemy to defeat them is fun. 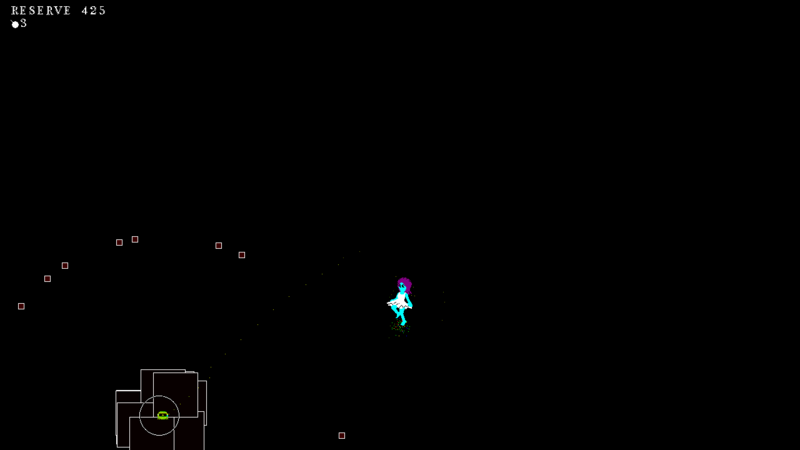 Keeping the cursor over the enemy could be easy when the enemy barely moves but it when they can teleport, move around quickly or run straight towards you it becomes somewhat challenging making the battle an actual battle. A difficulty I had was the momentum build up you need for certain jumps. It is easy most of the time to jump over gaps and to other platforms but some times you just have to try multiple times and get lucky to get to the other platform. The choose your own controls in the beginning of the game is helpful letting players decide their own controls for the game but if you don't know what your doing you could get a pretty messed up control scheme that makes you have to create a new game and try again. This isn't really a problem but it can cause problems for players that just start pushing buttons and end up with just a messes up control scheme. If you want anymore information you could just ask, I have a YouTube channel so if you want a video for your game I would be happy to make one, and still for an early build it seems pretty well done. Fantastic. This is a great addition to the review. I thank you for the feedback and the time you put into making it. I'll consider putting an option to change the buttons whenever the player wants. As for the silence, was it literal silence? I didn't put music but did add atmospheric sounds in the background. As for your offer, if you could be so kind, I would appreciate a video. That would provide me with a better view of how a player may play the game. If you provide a video, I'll pay $15.